Reports that Msunduzi Municipality has already been placed under administration have been dismissed by the department that oversees the running of municipalities in the province. The Witness reported last week that the municipality is poised to be placed under administration, and that the form of intervention to rescue the municipality still had to be announced. Co-operative Governance and Traditional Affairs (Cogta) spokesperson Lennox Mabaso said on Sunday that if Msunduzi was under administration Cogta would know and would communicate this to the public. “As Cogta, should it come to our attention that a decision has been taken on any municipality in the province, we always take the public into confidence and make official pronouncements. We are not going to deviate from this tradition,” he said. Mabaso added the department has taken notice of media speculation on the subject, but he declined to comment on whether or not the municipality was in the process of being placed under administration. “We ask the media to allow us space to work. In case of new developments we will invite and inform the media and the public accordingly. We will not be commenting beyond this,” he said. DA spokesperson on service delivery, Mergan Chetty, issued a statement crediting the party with the latest developments. Chetty added the DA has always been of the view that Section 139(1)(c) of the Constitution should be implemented. This would result in the dissolution of the municipality so that new elections can be held for Msunduzi. “We believe that this intervention has come a little too late, as basic service delivery in the municipality has collapsed totally,” he said. 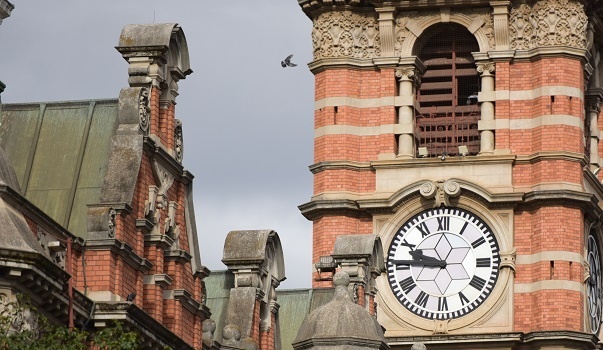 Chief executive of the Pietermaritzburg Chamber of Business, Melanie Veness, welcomed news that the city is to be placed under administration. She said she did not believe that there was any alternative but to put Msunduzi under administration because it is completely dysfunctional. “In fact, it’s long overdue and the ratepayers of Msunduzi have had to bear the consequences of the gross mismanagement of our resources for far too long now. This is the second time in the last 10 years that we’ve faced administration. “What we would like to see this time, which we didn’t see the last time, is some accountability for the decision-making as well as the actions that led us to this point,” she added.